well done bro! and good luck in Miami! my plans for next year are 2 marathons and a half ironman. To be at my goal weight and the best shape of my life! whats in store for you next year? Thanks alot Blake! I have the Half Iron man on my list as well but maybe for 2014 haha. Which marathons do you want to run next year? My goals for 2013 is to just stay as active and healthy as possible. Give my all everyday. Would like to complete a 50K though in 2013! Nice Job! 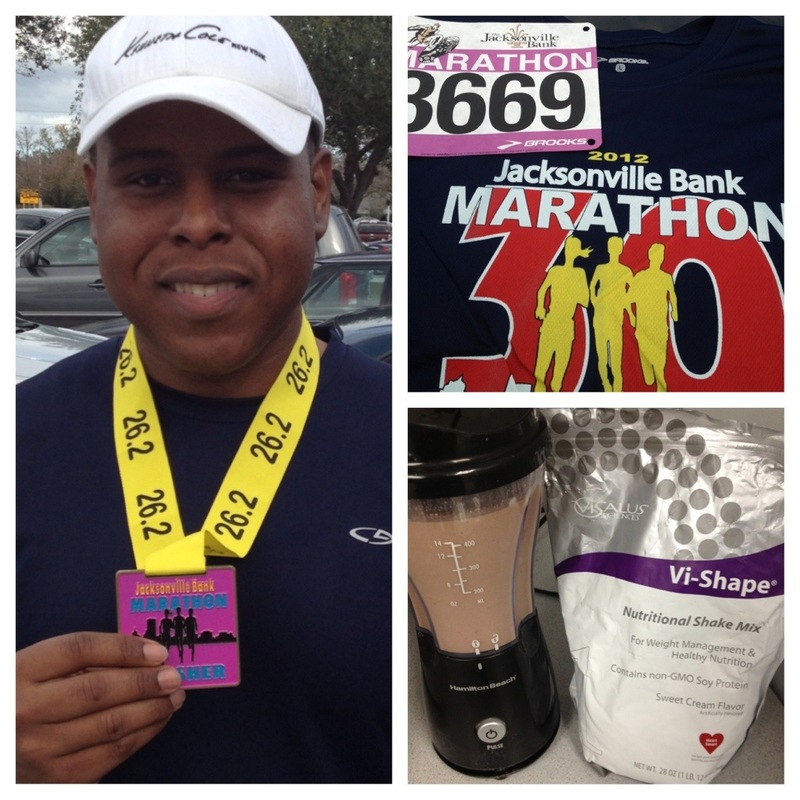 I look forward to the day I post I did my first marathon :). It is weird reading the sun drained you, I ran my 6K in about 3 inches of snow and slush this morning. Yay L-Jay, Congrats! I promised my son that I’d do the Philly triathlon with him (the sprint) if he did one in 2012. He did. It will be my first. Thats a great bargain to give your son. Im sure he did it just so you would do it with him next year! All the best to you in June 2013. You will do great. Keep me posted! Simple is always better! Small goals can lead to huge accomplishments! My goals for the year are to recommit to nutrition; because I run a lot I have been using that as an excuse to gradually eat more and more crap. I haven’t gained weight, but I feel a change in myself. I am signed up for a full and half marathon and would like to work on incorporating more strength training in with my running! Yes! I am a strong believer of cross training. It has definitely helped me to run longer and faster. Have you checked out my post on Cross Training? Which full and half are you doing? Those are great goals!! My goals are a 5k and 10k next year and my first marathon in 2014. I’m coming off 2knee replacements so I am going slow. Brent thats great considering you have had knee replacement. Take it easy and build yourself strong again. When I was a a kid I was hit by a car and shattered my entire left femur bone. I never thought that I would be running marathon today with that happening but it just made me stronger! The same will happen for you!! Congrats on finishing #2! I signed up yesterday for my second full in New Orleans, LA in Feb. My goals for next year include running 6 halves or fulls. I have 3 races on the calendar now and looking for more. Awesome! Is that the Rock N Roll? I looked at this one and the course seems fun. Running on Lakeshore Dr gives an amazing view of the water. You will like it! Good luck to you and training strong. Keep me posted! Isnt it insane how we get addicted to signing up for races hahaha. Its a great addiction to have though. Well look at you. I’m am very proud of you. Great Great Job. My health has greatly improved and I will keep working on it. My goals are a little more limited than yours. But a strong concern for nutrition and health will keep me going but not exactly as long or as strong as you. Great job and Good luck in the next ones. I have been with you for awhile. You were my first follower and it has been almost 6 months. I feel like your one of mine. I’m old enough to be your parent and I’m very proud. God Bless and Good Luck. Thanks alot! Means a great deal coming from you! You have been with me for a really long time and you support every single post. I really appreciate it. Its always good to have a great support system! Right on L-Jay your worth it. Well done! My goal is to become marathon fit and do the London Marathon in April 2014! Thanks alot! What are you currently running now? I would like to do London as well!! Seems like alot of fun especially running over the London bridge. It goes through the town where I live at the minute, literally the end of the road so I’m going to go cheer people on next year! I did my first half marathon in September and did it in 2 hours 30 minutes. Got another one in March so I hope to beat it! Congrats! For recovery, people say “a day for a mile”. Good luck with Miami! hahahah thanks Opalla! The fish oils really help me recover quick. WOW! How did you do on the half? The full was nice. IT was a flat course which I liked. It was alot of people though going down that one narrow road. Other than that it was fun. Do you live in jax or did you travel? No I live in Tampa as of now but I was born and raised there. Yes, it got really hot towards the end and I was stopping for water which I usually dont stop for as much. I will have to take a look at Tour de Pain and let you know. Give me sometime to check it out and maybe we can be partners!!! Congrats! 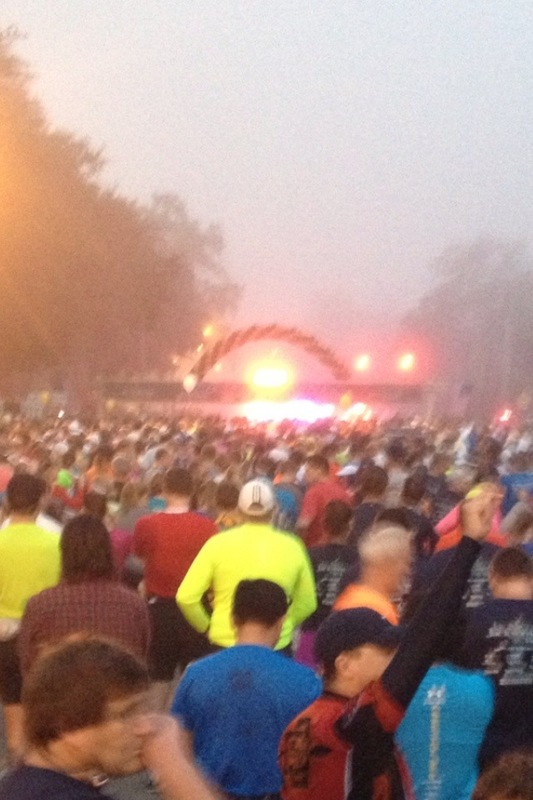 When is the Miami marathon? I’m running the Disney marathon on Jan. 13. My goal is to finally run one injury free! Its January 27,2013. I waited to late to sign up for Disney as you know it sold out pretty quick lol. I wish I could do but I may volunteer to pass out water and gatorade etc. Im sure you will do great. I hear its a fun run and nice course. I take fish oils to help prevent injury. It seems to work pretty good. I want to congratulate you on your 2nd Marathon finish! AWESOME JOB!!!! Keep in touch with me on twitter (@socialshark) and let me know how your training is going. Thanks alot Nate! I appreciate it. Im going to check out the response now. Talk soon! Very terrific. Good for you! Wings carry when feet don’t want to! And training grows wings. Great job – a true accomplishment! I hope to be at the marathon running level one day. I see you have the Body by Vi shake mix. Good stuff? I have a coworker using it, but it seems like he’s starving himself by eating one meal per day in addition to the shakes. Thanks alot! It was a great day. Yes, the shakes are amazing. Best tasting I have ever had. I take them pre and post workouts. But they can be used as meal replacement for weight loss. Usually once you add the powder, almond milk, fruits etc the calories adds up to a whole meal. Have you tasted it? Havent’t tasted it yet…I’m kind of wary of shakes as a meal replacement item. I don’t think it’s realistic for the long term over having a healthy diet and exercise. I was looking at their “Get Healthy” Balance Kit since I don’t necessarily need to loose weight, but work on toning. However, if you’re running marathons they must be working! Way to go!!! That’s awesome. Great going! Back to back marathons can work well. I did it in October/november of this year, and it felt good. I hope you have a good run in Miami. That’s great Frank! Which ones did you do? Way to go!!! My 2013 goals: Double Unders and Hand Stand Push Ups!!!! Gotta love both of these. I did a hand stand push up challenge a while ago. What kind of rope are you using for the double unders? Its actually all about the rope. I am so afraid to be upside down – major issue when it comes to HSPUs. I use the rope they provide at the box. It’s a type of speed rope. I think I should get one for me – I’m short…. Good job man. I’m hoping to break four hours at the Beachy Head marathon (UK). Got four hours seven this year, hopefully with a bit more training I can knock off a few more minutes. Hopefully doing a few more before then though too. All the best for your new year goals. When is that marathon? I think 4 hours is a great marathon time! Thanks alot, Im hoping that the cross training help me shave some time off. Congrats on #2 and good luck with the upcoming #3! Congrats on the run. And good luck on the next one! Thanks Chuck! Any events coming up for you? I’ve got a little 5K coming up Jan 16. Looking to do a half in March and a full in June. May push the full into the fall when it’s cooler. Congrats on the race! I completed my first marathon earlier this fall. I’m gearing up to do some shorter races in the spring. I’m quicker than I was this time last year, so I’m setting some time based goals. Congrats brotha! Keep it up! Thanks alot! How are things going with you? Good work on your run! I’m running a marathon myself in 25 days so if I finish that it’ll be a successful 2013. Very nice! Which marathon are you running? I’m running the Greater Manchester Marathon which is apparently pretty flat so I think I’ve got a decent chance. Hahaha you’ll do great! Let me know how it goes for sure.